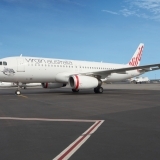 The Virgin Australia Group is playing a leading role in the use and production of sustainable aviation fuels in Australia, today announcing an initiative to trial sustainable aviation fuel through Brisbane Airport’s fuel supply system. The initiative marks the first time in Australia that biojet will be supplied through an airport’s regular fuel supply system and the first time in the world that biojet produced using the alcohol-to-jet process will be supplied to an airport’s regular fuel supply system. 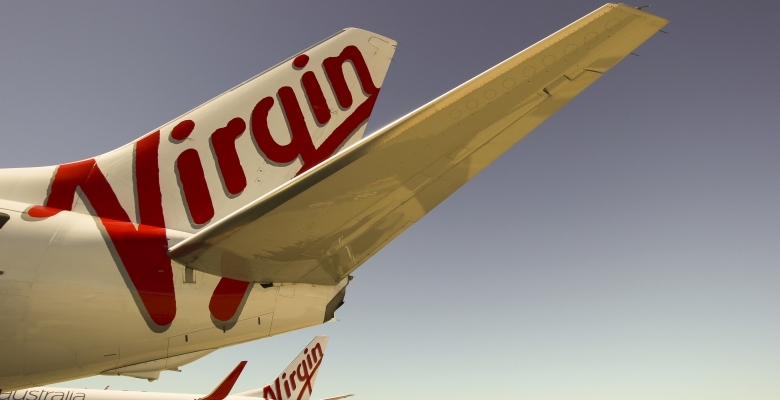 The Virgin Australia Group will be responsible for coordinating the purchase, supply and blending of the fuels and will work closely with the Queensland Government, Brisbane Airport Corporation (BAC), Gevo Inc and other stakeholders to implement the initiative. The first shipment of biojet from Gevo Inc is expected to be received and used over the coming months. Biojet emits lower levels of carbon emissions compared to traditional fossil jet fuel and can be derived from sustainable sources including sugarcane bagasse, molasses, wood waste and agave. 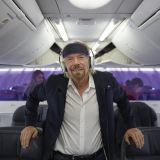 Biojet undergoes rigorous safety certification testing and is already used at major airports in Oslo and Los Angeles, including for Virgin Australia’s services between Los Angeles and Brisbane, Sydney and Melbourne. The Queensland Government strongly supports the initiative. 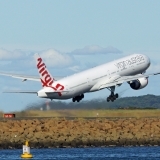 Speaking from Brisbane Airport, Queensland Premier Annastacia Palaszczuk said: “Biojet is fast becoming a staple of the aviation industry, and Brisbane is joining major airports such as Los Angeles and Oslo in embracing a sustainable aviation future. “Although the aviation biojet fuel sector is quite new, there has been more than a decade of work behind it and hundreds of thousands of hours of fuel testing to prove the fuels are compatible with fossil based fuels. The first aviation biojet fuels were approved for commercial flights in 2011,” Premier Palaszczuk said. Premier Palaszczuk added that the initiative from the Virgin Australia Group and Gevo could also catalyse investment in Queensland’s biofutures and sugarcane industries. “Although there is currently no commercial production of biojet in Queensland, we would expect the success of this project to see demand for fuel grow and provide significant opportunities for local biojet production here at home. The opportunity will also translate to our sugarcane industry, who will provide the lion’s share of the biomass these refineries would need,” Premier Palaszczuk said. CEO of Gevo Inc., Dr Patrick Gruber, said that although his company would initially supply jet fuel from its hydrocarbon plant based in Texas, and derived from isobutanol produced at its commercial isobutanol plant located in Minnesota, there would be significant opportunities for production in Queensland. “We believe Queensland offers huge potential for low-cost sugar feedstocks to produce biofuels. It really opened our eyes to Queensland's potential for sustainable aviation fuels based on Gevo’s alcohol-to-jet technology,” Dr Gruber said. 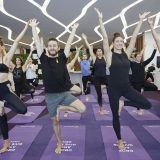 Brisbane Airport Corporation Acting CEO Stephen Goodwin said the initiative was clearly aligned with BAC’s strategy to reduce energy consumption and carbon emissions produced as a result of airport operations. “Energy efficiency and increased use of renewable energies are the foundations of BAC’s emissions reduction program, so we are enthusiastic supporters of this initiative as it will help reduce Brisbane Airport’s carbon footprint even further by assisting the airlines to reduce their emissions. 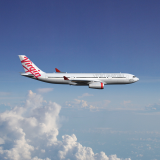 “We applaud the Queensland State Government, Virgin Australia and Gevo Inc for their foresight and commitment to sustainability and we’re pleased to be affiliated with this exciting partnership and the home base for this world-first initiative,” Mr Goodwin said.